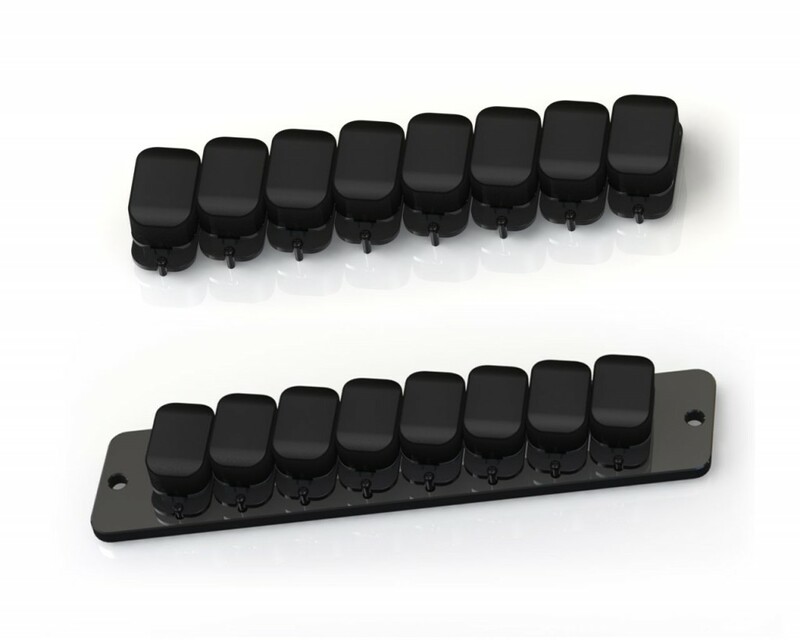 How do you mount the Nu modular pickups? You’ve seen the basic Nu capsules before. Mounting these miniature pickups might be tricky. One way involves making a printed circuit base-board where these pickups are soldered into. 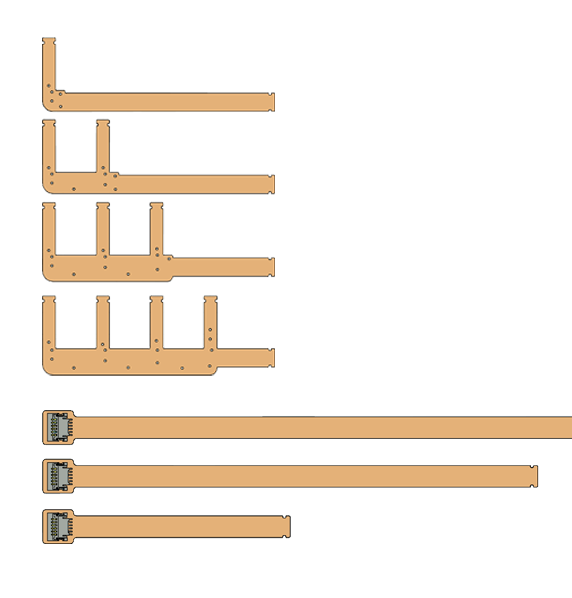 As I said in the previous post, the problem is that we need a multitude of base-boards for different string spacings, number of strings and skew. That defeats the intent of the modular design. 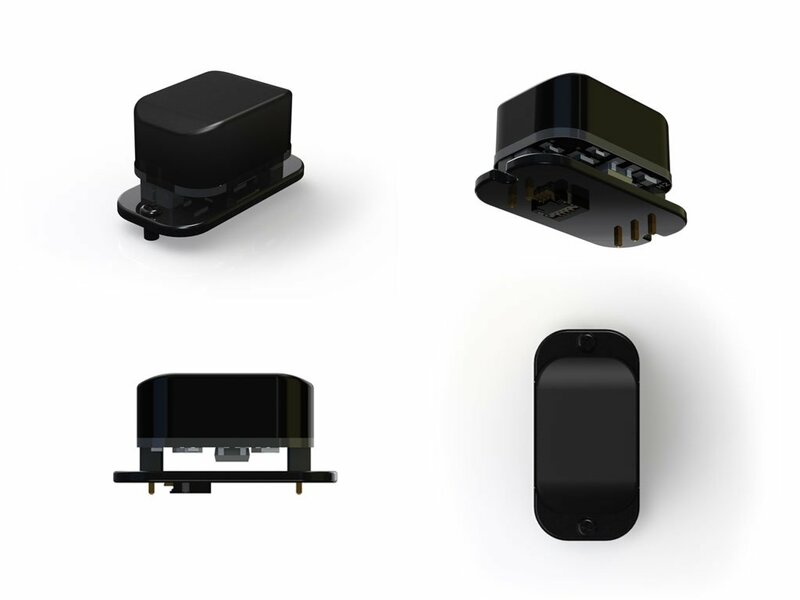 Unlike its predecessor, the Neo, there’s only one modular design. You can place the pickups anywhere and any way you want. You can use a common base plate made of aluminum, plastic, or even hardwood. Or, you can simply body-mount the pickups. Here are two examples, one with a common base plate and another direct body-mount. Two small 1.2mm screws mount the pickup and provides individual height adjustment with the addition of small spring tubes. We’ve been through a couple of design revisions in the past few weeks. Good engineering requires painstaking attention to detail! One nagging issue was connectivity: how to reasonably connect multiple pickups. Shielded cables? I don’t think so! For an eight string pickup, for example, that would mean eight of these cables bundled together. The smallest, readily available, shielded cable I could practically find has a diameter of 2.5mm. There are 1.5 mm miniature cables, but these are very hard to find. How about multi-wire cables? Yes that’s a possibility, but miniature multi-wire cables are equally hard to find and such cables are rather cumbersome to use. The ubiquitous 2.5mm-pitch header connector is out of the question. These connectors are too bulky relative to the Nu’s size. We considered 1mm-pitch headers, but the cables for these are a pain to manufacture and therefore expensive. After much frustration, I looked at laptop and mobile phone technology and the right connector was staring right at me: Flexible printed circuits (FPC)! 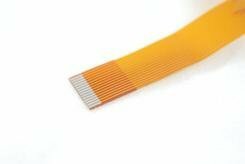 The same technology used for making printed circuit boards, this is an alternative way of making cables by laminating very thin (0.07 mm) copper strips in between two layers of PET. No more wires! No more crimping terminals! This is it! Like printed circuit boards, these can be made with 2 or more layers. I’d venture that two layers, with one layer as a ground plane, is good enough for our purpose, assuming that these will be installed in a properly shielded guitar. This is such a flexible technology. Pardon the pun. 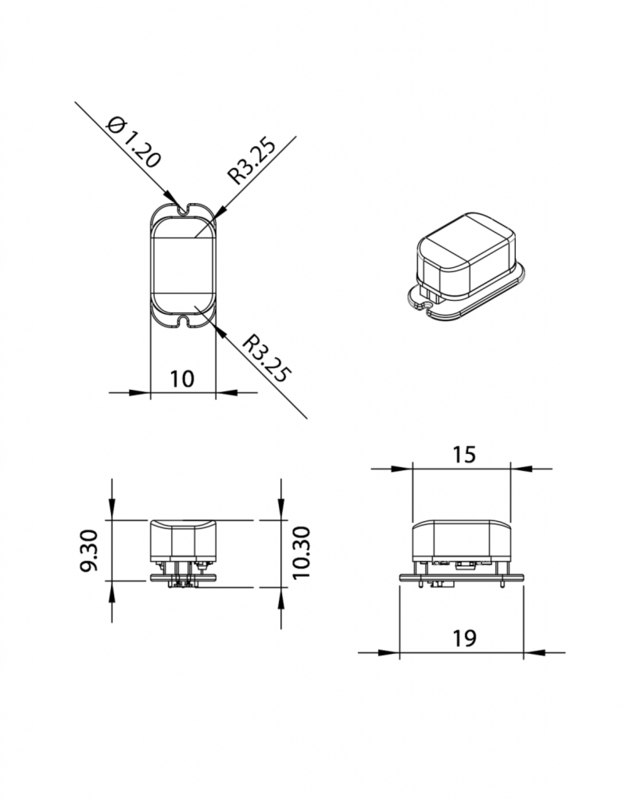 It allows us to design any kind of cable for a multitude of purposes. For the Nu, we will be using different cables for 1 to 4 modules. 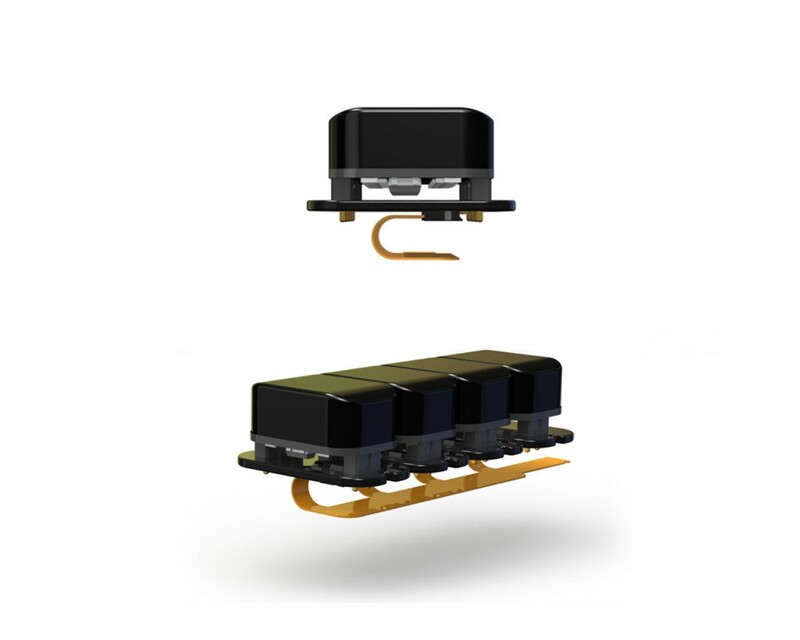 The image below is for a set of 4 Nu modules. For a 7-string pickup, for example, you can use two cables: one 3-way FPC and another 4-way FPC. Each group (1 to 4 modules per group) connects to a main internal breakout for up to 3 groups (12 channels). One disadvantage of FPCs is that you can’t cut them to length. A solution for that problem, is to provide connecting FPC cables of varying lengths (40mm, 80mm and 120mm) that can be daisy-chained to get the desired length. If you need a 200mm cable, for example, just connect together a 120mm and an 80mm cable. The main FPC cables are a mere 4mm wide while the ones going to the Nu pickup are just 2.5mm wide. Now that is small! As usual, we choose only the best gold plated connectors. 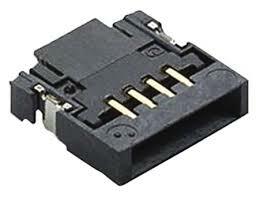 The connectors incorporate a “flip-lock” that locks the FPC cables in place. The small notches at the end of each cable are fastened once the lock is engaged. These are very tiny 0.5mm pitch connectors from FCI measuring 3.2mm X 3.5mm, including the lock.